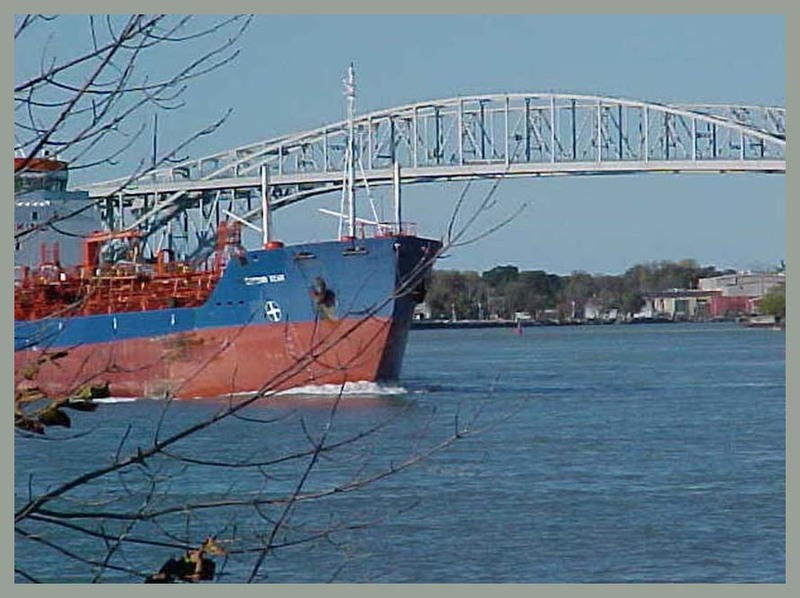 The St. Clair River is located between Michigan and Ontario, Canada. The river is 39 miles long and drops 5 feet in elevation from Lake Huron to Lake St. Clair. The flow rate averages around 182,000 cubic feet per second, and the drainage area is 222,400 square miles. This takes into account the combined drainage areas of Lakes Huron, Michigan, and Superior. 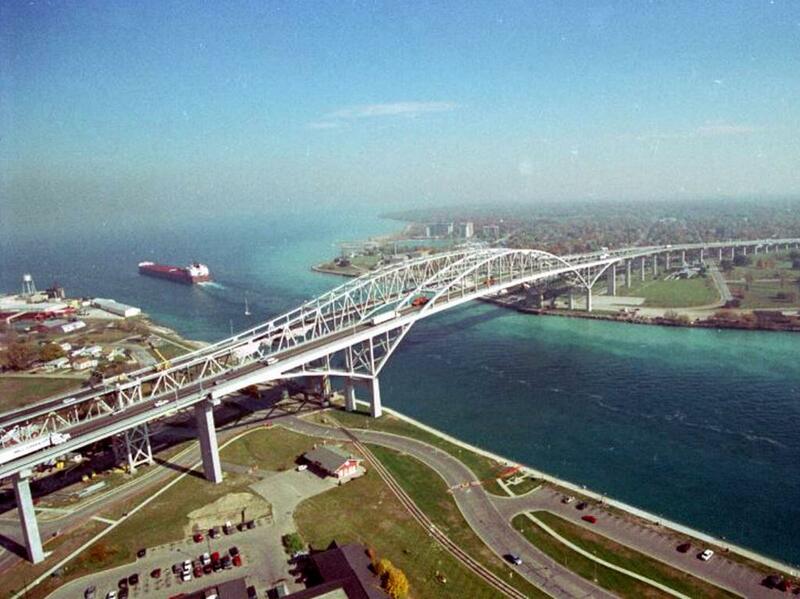 The Blue Water Bridge between Port Huron and Sarnia. The river, which some consider a "strait", flows in a southerly direction, connecting the southern end of Lake Huron to the northern end of Lake St. Clair. It branches into several channels near its mouth at Lake St. Clair, creating a broad delta region known as the St. Clair Flats. Several communities along the St. Clair rely on the river as their primary source of drinking water. About one-third to one-half of the residents of Michigan receive their water from the St. Clair/Detroit River waterway. 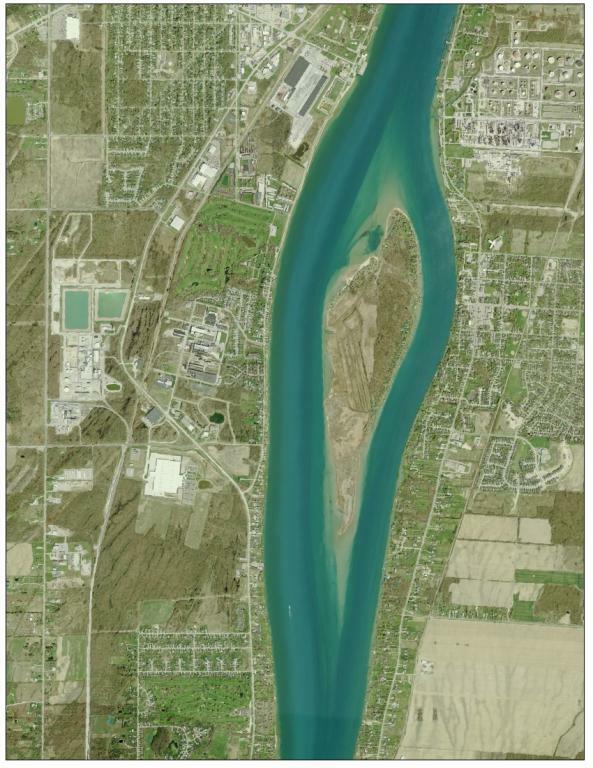 Check the water level (USGS) of the St. Clair River HERE. Boat Launch north of water treatment plant, including a new ADA Kayak launch. A municipal marina on the Pine River, including a new ADA Kayak launch. Learn about Marine City's rich maritime history! Casual smokehouse cuisine and affordable prices! Irish food and beer, in a great atmosphere! Come in and enjoy the pub atmosphere or the dining room which both offer a diverse menu. Enjoy beautiful stained glass windows and a 1861 Tracker Organ! The oldest Lighthouse in Michgan! A restored movie theater and the home of the Titanic museum. A city park right on the St. Clair River! Enjoy watching freighters pass by. Climb the tower to see Port Huron, the St. Clair River, the Black River and Canada! A landmark hotel on the St. Clair River, and the base of Lake Huron. A beautiful Bed and Breakfast along the St. Clair River. Take a narrated tour along the international boundary! DNR water and fishing access.